Assalam, plz send chapter 16 to my mail. Walaikum as salam, I have just sent it to your email. Wa alaikum as salaam! I will send it today! Assalamalaikum. May Allah bless you Plz send me chapter no . 24 . Thank you. Wa alaikum As salam. Thank you for your comment! I just emailed it to you. 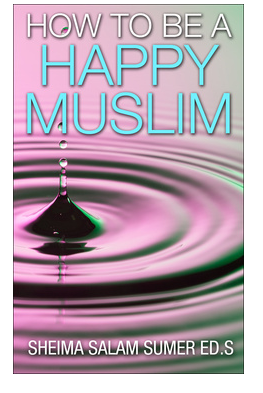 Please email me if you do not receive it (howtobeahappymuslim@outlook.com). Assalamalaikum sister. Could you please if you are able, send chapters 14 and 15. I really need to read those! Please send me chapter 15 of your amazing book. I have been brutaly abused by my xhusband which I did not Remember until much later. I do not have bad reminders any more. I just am having a hard time forgiving him. Also when I was young I was abused by my uncle and grandfather, with the same problem. I am a new Muslim about 10 years. I am 65 this year and you would think I would be able to do this simple task. But I can say it but I know it is not from my heart. Can you please send me chapter 18. I just sent it. Bismillah. I would like to receive chapter 23. And is it also possible to purchase your book? Thank you very much.